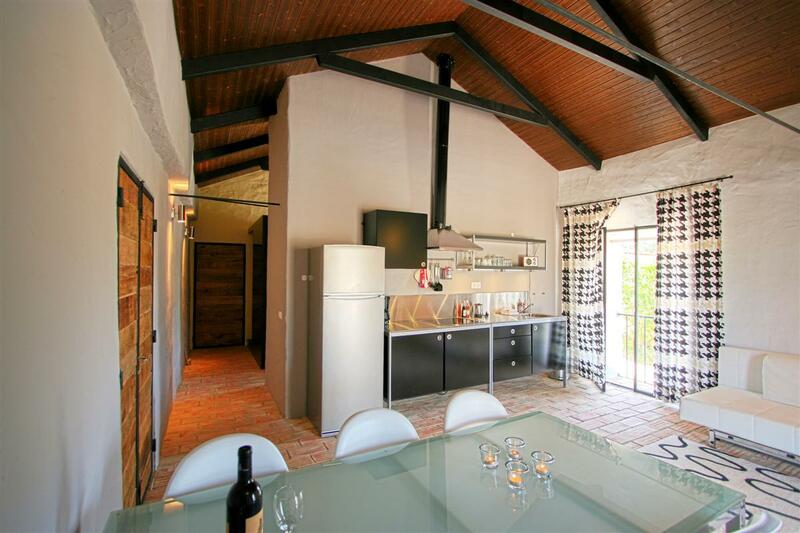 Tapadado Gramacho is a rural and stylish bed & breakfast style guesthouse in the beautiful Central Algarve close to the historical village of Silves with its shops, bars and restaurants. It’s uniquely situated in a nature and bird watching area bordering the river Arade, but also close to popular beaches and villages like Lagoa, Estômbar, Ferragudo and the larger town of Portimão. Tapada do Gramacho offers you the feeling of an old Portuguese farm with modern comforts and luxury surrounded by space and nature. What you will hear are birds, crickets and the wind blowing through the reed. Children are most welcome and will really enjoy spending time in the play garden and the pool. Tapada do Gramacho took shape from what once was a traditional farm house belonging to the Semedo family. 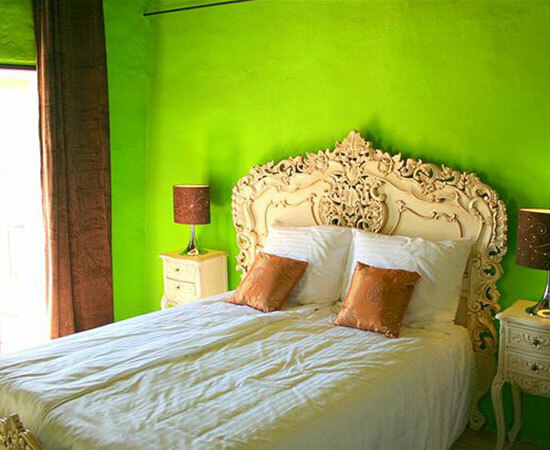 We have transformed it into a trendy guesthouse with 3 comfortable self catering apartments and 6 B&B suites, maintaining the building’s original characteristics. All en-suite rooms and apartments have their own surprising funky design, comfortable box spring beds with high quality mattresses and bathrooms with rain showers. Some of the rooms have French balconies with wonderful views over the fields and the Arade river. Others are situated at the garden side having their own private entrance and terrace. On the lower floor you’ll find the lounge, a large living and dining room with fireplace, leading on to the terrace outside with shades and lounge sofas. Here you can relax and enjoy the wonderful views and sunsets, while enjoying an excellent glass of local wine. 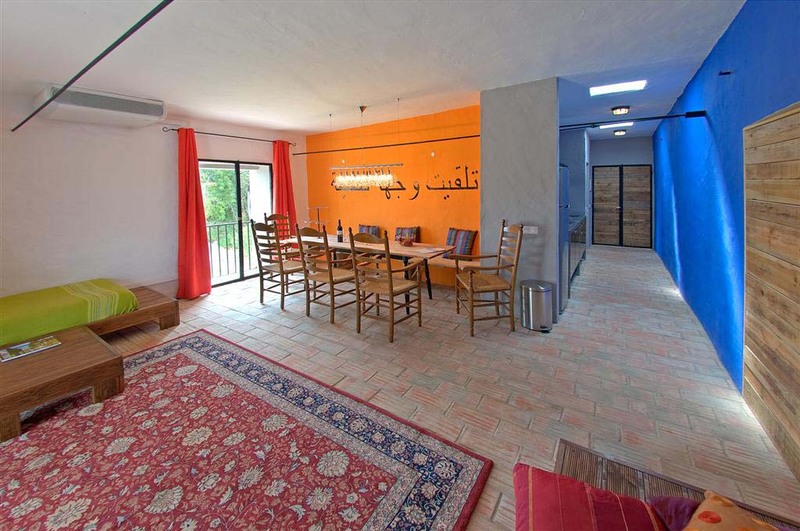 There is a communal kitchen and a barbeque for all guests available. So, even if you stay in one of our bed and breakfast rooms, you can choose to stay “home” instead of having to go out for dinner every day. You can use the shared kitchen to cook your own meals and store your own food and drinks in one of the fridges. But in case you haven’t done your own shopping, you will have excess to the honesty bar which we filled up for you with plenty of nice local wines, beers and other refreshments. In Portugal we are called "Turismo Rural".The Italians would call us "Agriturismo", but also the terms "Rural Boutique Hotel", "Rural Guesthouse" or "Bed and breakfast" would be correct to use. Anyway, if you are looking for a stylish well located place to stay, away from it all, while having excess to all the interesting destinations and beautyness of the Algarve, Tapada do Gramacho will be the perfect choice for you. We would be delighted to welcome you as our guests!